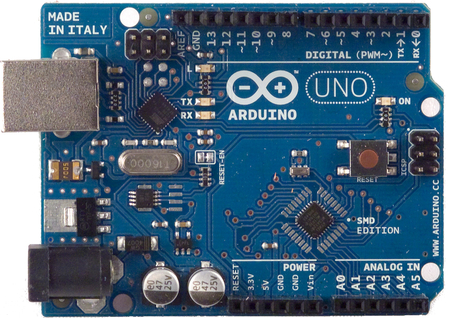 it is simple to build robots using Arduino UNO. CoderDojo Toronto is organising its next session on “Robotics With Arduino” on 22nd June 2014 at Bimaker Lab in downtown Toronto. Participants will learn how to programme Arduino to control lights, motors and read data from sensors. The session is being led by Artash, Grade 2 Student. Check out his CuriousBot Weather robot which won the 2014 NASA SpaceApps People’s Choice Award Toronto and was in Top 5 in NASA Global SpaceApps 2014 People’s Choice category. –> Write to us at vikas.nath@gmail.com if you wish to organise a special Arduino training session for up to 15 kids in your class / camp.